Located in the heart of Grande Prairie, Alberta, our full-service hotel puts you minutes away from great golfing at Bear Creek Golf Course as well as several other local courses. You'll also be close to the Grande Prairie Live Theater and the Revolution Place Arena. The Best Western Grande Prairie Hotel & Suites features spaciously appointed guest rooms, each equipped with a refrigerator and microwave, in-room Keurig coffee makers, flat screen television with Telus Optik TV and wireless high-speed Internet access. Two options on site. Our in house restaurant, Padrino’s Italian Ristorante is a fresh based fine dining Italian Restaurant. Traditional pastas, pizzas, and oven-roasted meats take centre-stage on Padrino’s menus. Our chefs prepare each meal from scratch and offer nightly features that will be sure to delight your taste buds. Padrino’s also offers vegetarian and gluten free options to appease all appetites. Tony Roma's, located in the same parking lot, is a full service, casual dining family restaurant where you can find premier BBQ ribs and steaks. With over 150 family restaurant locations on six continents, Tony Roma’s is one of the most globally recognizable names in the industry. Choose from our selection of meeting rooms to host your perfect event! Choose our Alexander Forbes Ballroom for events with up to 100 people. As well as having the room set up to your specifications, we also provide AV equipment if required for your event. Consult with banquet staff to receive quotes. Guests staying at the Best Western Grande Prairie Hotel & Suites will be close to key area attractions such as the Philip J. Currie Dinosaur Museum, Eastlink Center, the City Center, the Grande Prairie Art Gallery, the Grande Prairie Museum and Muskoseepi Park offering beautiful walking trails. Business travelers will enjoy being close to oil field related work, government buildings and hospitals. 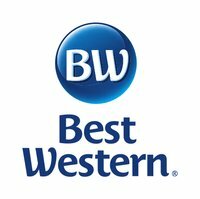 For superior customer service and a central location in Grande Prairie, Alberta make a reservation today at the Best Western Grande Prairie Hotel & Suites!